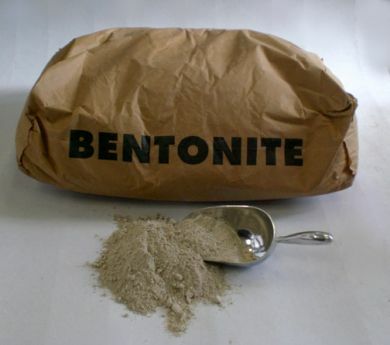 Bentonite is a type of clay that is highly absorbent. This material can be used to create "green" sand for sand casting by the addittion of around 10% to the casting sand. Other applications include things like cleaning marble and terrazo floors, de-greasing, mud packs, cat litter etc.